We're completely entranced by these eerie designs from London-based Russian illustrator Sasha Tugolukova. Their strange other-worldliness is at once beautiful and frightening. 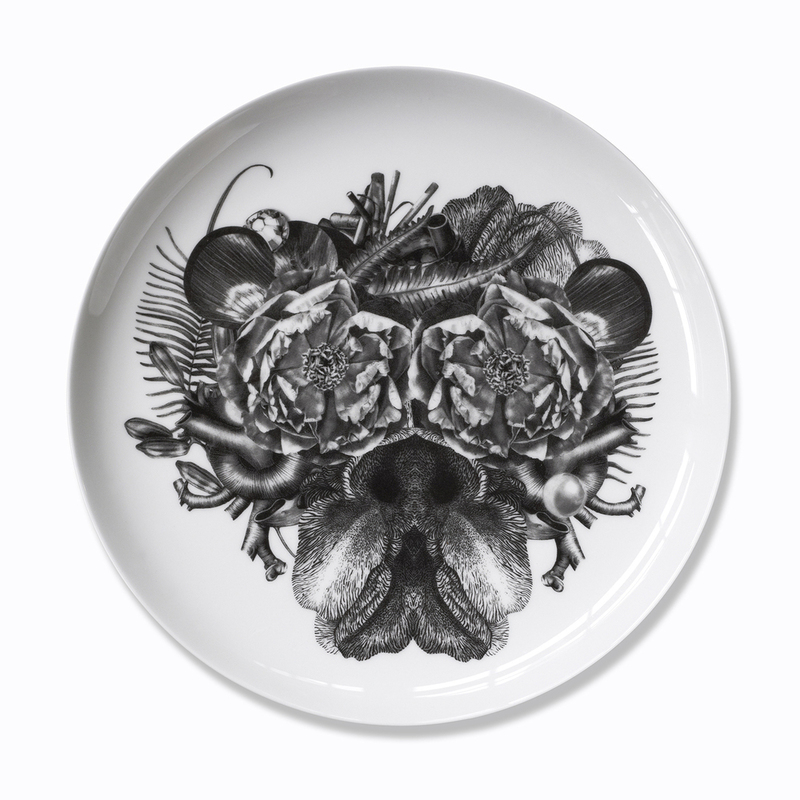 Highly detailed and exquisitely drawn, symmetrical collages of flora, fauna, insects, jewellery and machined parts create haunting animal faces reminiscent of John Tenniel's illustrations for Lewis Carroll's classic novels Alice's Adventures in Wonderland and Through The Looking Glass. A 2008 graduate of the London College of Communication, Tugolukova's dark fascinations led her to an internship at Alexander McQueen, whose own gothic fashion stylings challenge traditional notions of beauty. Now striking out as a fully fledged designer, her debut line also explores perceptions of beauty in the 21st century. 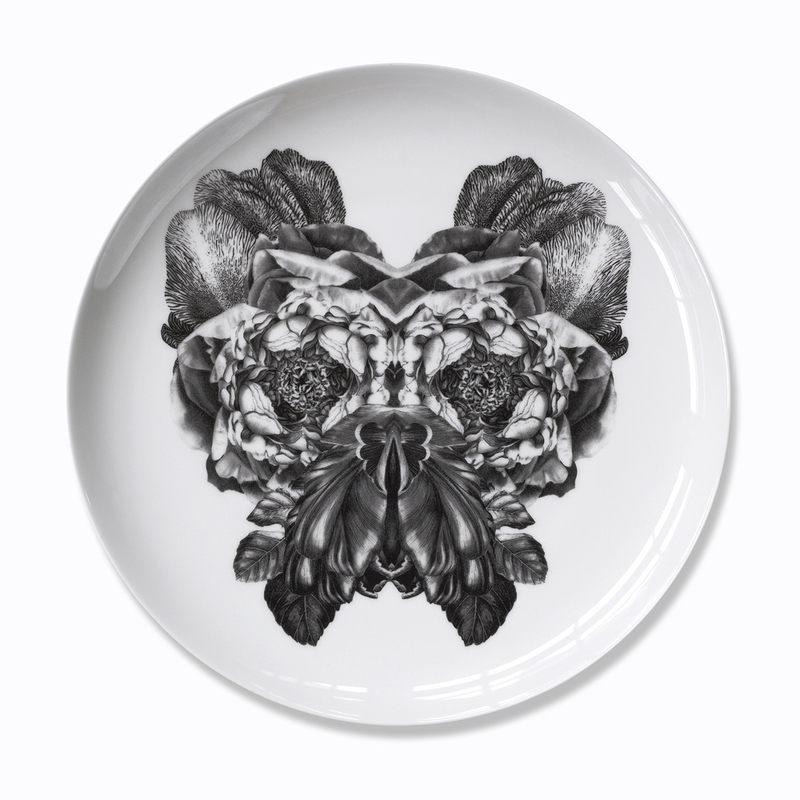 Made of fine bone china and hand-finished in Stoke-on-Trent by local artisans, this surreal tableware collection is definitely not one for the squeamish, but that's no bad thing in our books.